Mel Simon was the son of an immigrant family who grew up in the Bronx and rose to co-found the world’s largest shopping mall company. His commitment to giving, which actually began long before his extraordinary business successes, has over the years enriched every community in which he lived and worked. 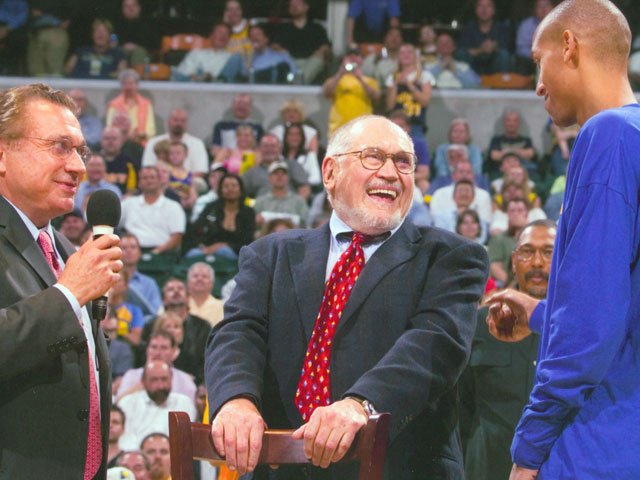 Look anywhere in Indianapolis, for example, and you will see Mel Simon’s imprint – from a healthcare facility at St. Vincent’s dedicated to serving the poor, to the Indiana Pacers basketball team which he kept in Indiana at a point in time when its near-certain relocation threatened to devastate the community. It is generally recognized that Mr. Simon’s commitment to the revitalization of downtown Indianapolis, through the construction of an urban mall, assured the viability of the city as a 21st century commercial and residential hub. Yet Mr. Simon’s benevolence was global. He was a valued contributor to major political leaders like Bill Clinton and John Kerry whose work has directly served the causes to which The Melvin and Bren Simon Foundation & Joshua Max Simon Foundation are committed. The foundations continue to support the Clinton Global Initiative. Mr. Simon earned a degree in accounting from the City College of New York. He served in the U.S. Army where he was stationed at Fort Benjamin Harrison in Indianapolis in 1953, supplementing his military pay by working as a door-to-door encyclopedia salesman. He decided to stay in Indianapolis after his army discharge.